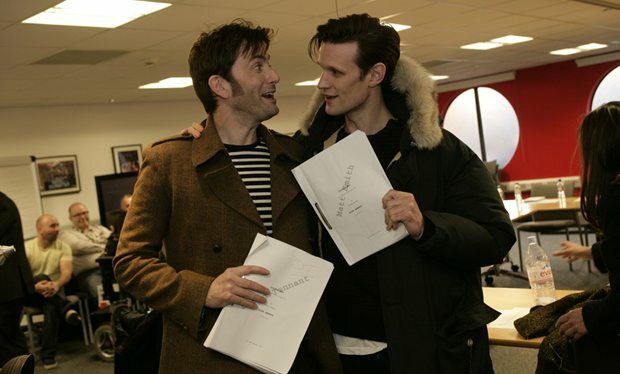 It’s what every Whovian has been waiting for since it was announced last year. Slowly, they’ve teased us with pictures and videos, and dodgey answers from the actors. But, it finally came, phasers set for stun, and was broadcast all over the world for fans to enjoy on TV and in cinema. 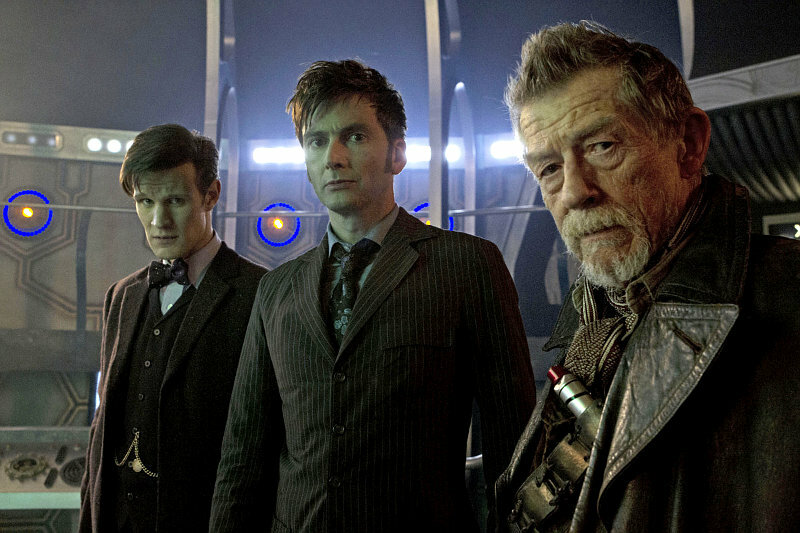 And I can honestly say that the Doctor Who 50th Anniversary did not disappoint. Upon hearing that the Anniversary would be broadcast into theatres around the world, and not just on TV, I was promptly attacked by my mother after I returned home from school. We, as poor middle class Americans, did not have BBC America. (Whether this was because my father was too cheap to extend the cable package, or because we were actually too poor to afford it, I will never know.) 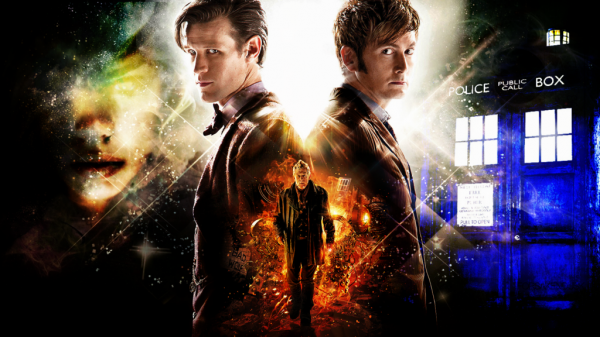 To have it showing in 3D at our local AMC was a blessing from Gallifrey itself. My first impression of Doctor Who was essentially “wait what the hell is going on.” My mom started watching it when it played on the Sci-Fi channel, then decided to go buy the entire first season of the reboot. After weeks of her coaxing me into joining her, I finally sat down and watched an episode. If my memory is correct, it was The Long Game, by Russel T. Davies. When we arrived, there was a line that filled the hallway outside the theatre (and we were 30 minutes early). People of all different ages, from 8 to 80–or at least late 50s–were garbed in bow ties, trench coats, tweed jackets, and pin-striped suits alike. Before it started, people held sonic screwdrivers in the air like lighters at a concert. The trivia was answered by practically everyone in the theatre, and practically everyone groaned when they got it wrong. I even saw a fez get thrown into the air like a graduation cap after it was over. And during, the 50th Anniversary was treated with kindness and respect. Not a peep was heard–except for the laughter when a joke was made, or the loud ‘oooooohh-ing’ when there was a reference.While there were a few things I would have changed or added, it was still extremely enjoyable. As a season finale, it was fantastic. As a 50th Anniversary special, I think they could have done a bit more. Still, I’m not complaining. Our expectations were probably a little high from all the hype surrounding it. Overall, as a Whovian, the experience was like the Deathly Hallows premiere, just on a smaller scale. It was fun, exciting, and satisfying. But, after that, I can’t help but wonder what’s in store for us at Christmas. Or, more accurately, will it render me an immobile pile of sadness by the end of the night? This entry was tagged BBC America, David Tennant, Doctor Who, Doctor Who 50th Anniversary, Doctor Who fandom, Gallifrey, John Hurt, Matt Smith. Bookmark the permalink. Smile and hope you don't get the flu.... Because you'll die and become a walker! Your main place for Cincinnati sports.